At dusk, our red 22 inches glow necklaces will illuminate you and your special occasions such as; Valentine`s Day, Canada Day, Christmas and all other parties of your choice. This festive glow accessory is very easy to use. You simply have to follow these three steps; bend, crack and shake to activate the glow. The glow has a duration of more than 6 hours. You then have to join the two ends with the junction tip included to close your necklace around your neck. 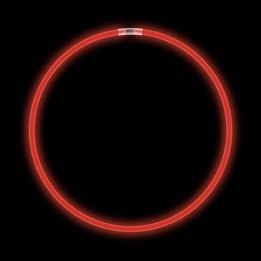 Our glow necklaces are sold in a tube of 50 units and are not recommended for children under the age of 5 years old.